We have a couple of exciting upcoming projects in addition to many ongoing mainly residential schemes. Firstly some changes to the R.C. 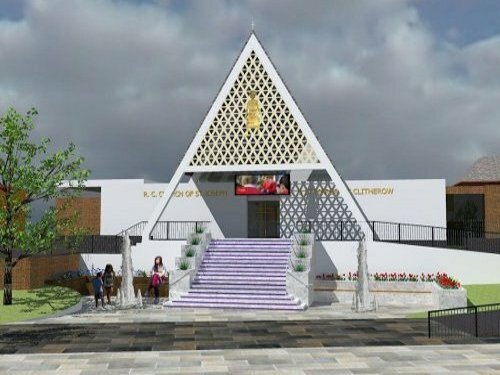 Church in Bracknell town centre where building work is due to begin soon. The aim is to integrate the Church better with the town centre so it is more welcoming, more accessible, and more waterproof! Secondly a proposal currently at the Planning stage to ‘create the best nursing home in Berkshire’ at Ascot Priory, where the main stone former convent building is Listed and set in lovely wooded grounds in the Green Belt.